Handmade Detroit | Eek! MICE! at the Market! Eek! MICE! at the Market! Not to worry, this is the good kind of mice! 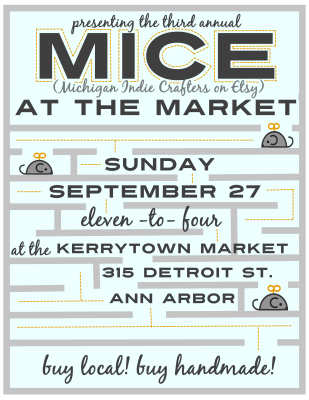 Join the MICE (Michigan Indie Crafters on Etsy) group this weekend at the Ann Arbor Sunday Artisan’s Market from 11 a.m to 4 p.m.
More than 25 local vendors will set up shop with all sorts of handmade goods in this well-known outdoor market in Kerrytown near Zingerman’s Deli and Holander’s Paper Shop. 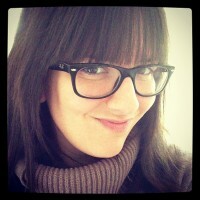 For more information, e-mail Kate Kehoe at chicalookate [at] gmail [dot] com. i love the artwork on this poster!! !